Anthony Privette is a leading North Carolina personal injury attorney dedicated to defending the rights of those injured in Statesville and other areas of North Carolina. He represents injured people in both state and federal court and is a tireless advocate for his clients. A personal injury claim provides legal recourse for victims who experience bodily harm caused by another’s negligence. General principles of negligence state that we owe a duty of care to others. Any person, corporation, or combination of parties can be negligent if they breach that duty of care. 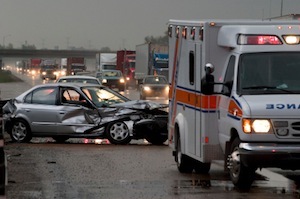 Negligent parties are legally liable for any injuries proximately caused by their negligence. North Carolina law protects victims who were injured by another party’s negligence. Like other states, North Carolina requires drivers to carry auto insurance to protect against liability for bodily injury and property damage in case of an accident. Laws regarding tort liability are set forth in North Carolina’s General Statues. The General Statutes provide for recovery against negligent manufacturers, property owners, and physicians in personal injury suits, but require the injured party to file a claim within three years. For cases in which the negligent party was not a person, the North Carolina Tort Claims Act holds governmental entities liable for tortious conduct under state law. State workers’ compensation laws also require businesses and employers to cover injuries sustained at work. An experienced North Carolina personal injury attorney can help explain which laws apply to your case, and aggressively pursue your legal claim. Injury victims are entitled to several forms of compensation. First, they are entitled to past and future medical expenses, including emergency care at the scene of the accident and any future treatment necessitated by the injury. Second, they can recover for lost income, future earnings, and other disability benefits incurred as a result of their inability to work. In some cases, victims are also entitled to damages for pain, suffering, and emotional distress. If the injury was caused by a defective product, victims may have a separate claim against the manufacturer, entitling them to punitive damages, court costs, and attorney fees.